New Toybox Demo trailer from Oculus released! 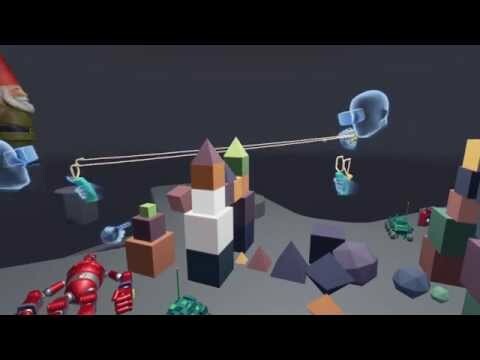 Oculus released a new trailer showing their Toybox demo. A game where two people can interact in VR. Looks like fun! EDIT: New video showing gameplay from a different angle. is it work with Leapmotion ? 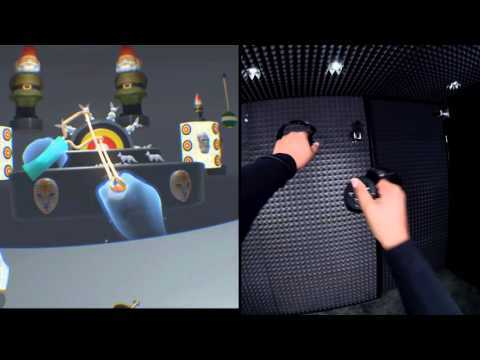 @Geons Leap Motion with this would be cool, though some haptic feedback would be necessary for this kind of demo (in my opinion). The Touch controllers, seem to offer enough weight that it "feels" like you are interacting with these objects.